Tick a few items off your to-do list at Global Fine Food in Ashgrove. First up, treat yourself to a sweet little morsel from the slices and cakes on offer and maybe a Merlo coffee to wash it down. Then give some serious thought to which gourmet delights you need to get you through the week. Top of your list might be the specialty smoked ham. 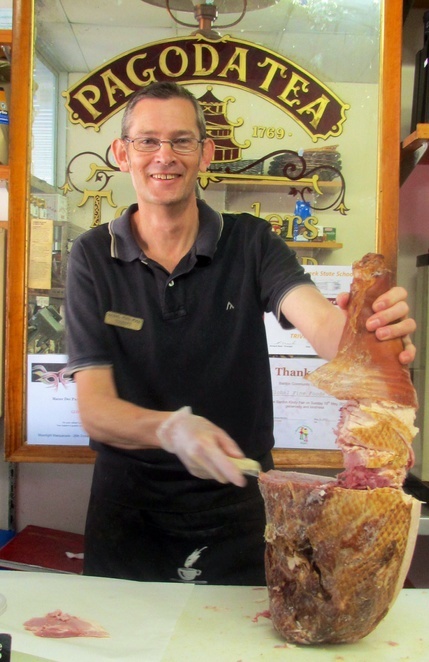 Sourced from South East Queensland, Trent and his staff hand carve the leg ham off the bone while you wait - which means you can have it sliced just the way you like it. Browse the cabinets and shelves and you'll find plenty to fill your shopping basket. 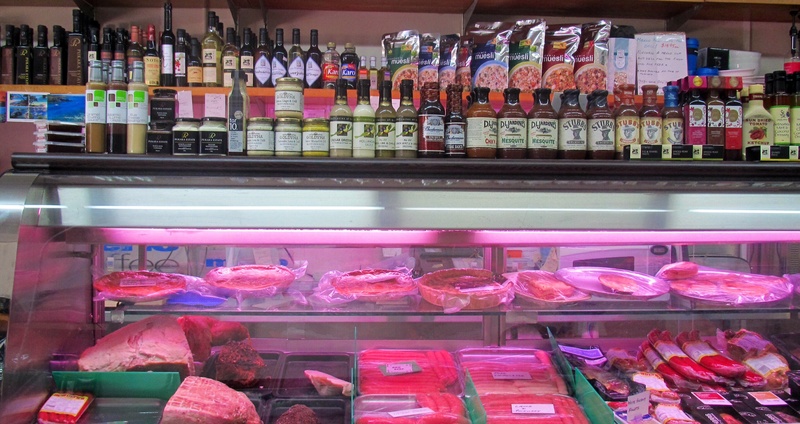 Specialty meats, gourmet pantry items, breads, yoghurts, Australian and imported cheeses, tea, coffee, spices, chutneys, relishes and more! For the sweet tooth there's a tempting range of decadent chocolates, cakes, slices, cookies, ice-cream, and nougat. Customers with gluten free requirements are also catered for with a range including breads, sausages, ice-cream, muesli, sweet and savoury biscuits, pastas and pastries. By the time you get through all of this, it may well be lunch time which is no problem as Global Fine Food has a light lunch menu which is sure to satisfy the hungry shopper! Highly recommended is the Kate Special - toasted Turkish with leg ham, double cheese, avocado and balsamic onions. Over lunch give some thought to upcoming birthdays or special occasions as this may be the place to find some interesting gifts. Global Fine Food makes life easy, with gift vouchers and gift baskets an option and even better, delivery of gift baskets is available across the Brisbane area. Choose your basket's contents yourself or ask the staff for assistance. 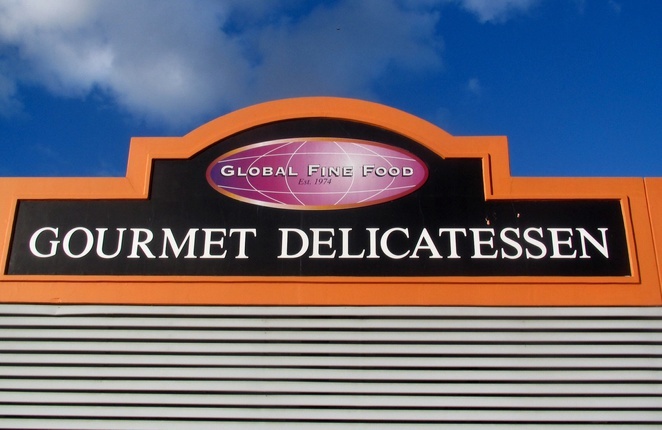 Forty years of experience means that Global Fine Food's staff are well placed to make winning suggestions. There's still more on offer! 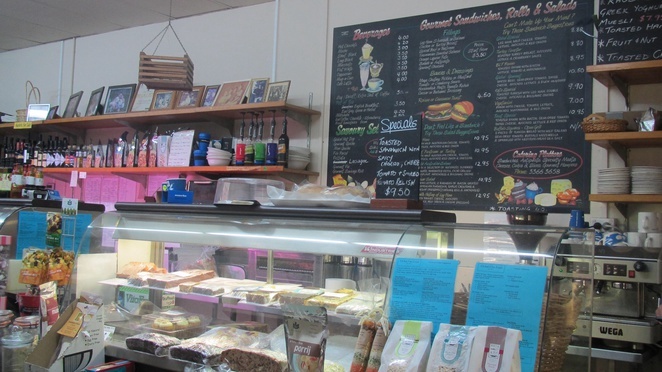 The deli also caters - whether it's for a party, birthday celebration, Melbourne Cup luncheon, business lunch or corporate function, they've got you covered. Quality platters at affordable prices are beautifully presented, ready for you to serve. There's one final thing to consider and that's whether you'd like a helping hand this Christmas. Orders for Christmas turkeys, ducks, chickens, salmon and pork can be placed from mid September. Even better, deboning, cooking and stuffing is also available for turkey's, chickens and ducks. 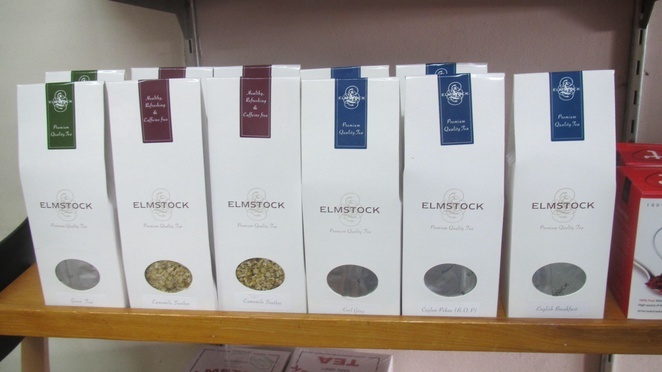 Order the stuffing mix, plum pudding, rumballs, fruit mince pies and/or Christmas cake and you've got Christmas all wrapped up! 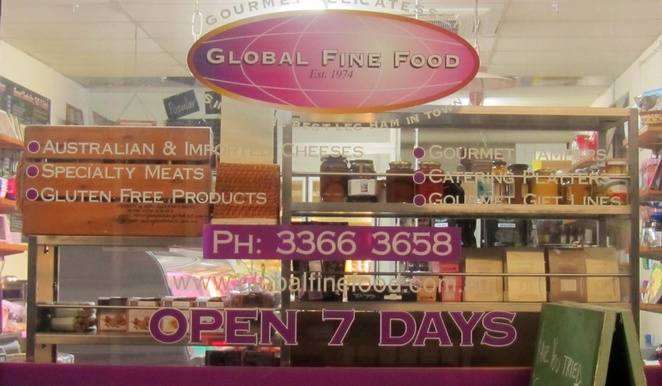 There are so many good reasons to visit Global Fine Food so why not call in and say hello to Trent and his team?